[11/03/2014 @ 9:05 PM] Open this itinerary on: Expedia, Orbitz, Priceline, Travelocity, Hotwire. United is offering cheap nonstop round-trip flight from Houston (IAH) to Belize (BZE) leaving Nov 8th returning the 10th or 11th. Price is $340. No other dates available. This is a great price for an extended weekend in Belize. When you begin your search for a Hotel or Vacation Rental in Belize please use our TripAdvisor: Belize link to find a good place to stay. When you are ready to book, please use our links to begin your booking process so we receive credit for the referral. 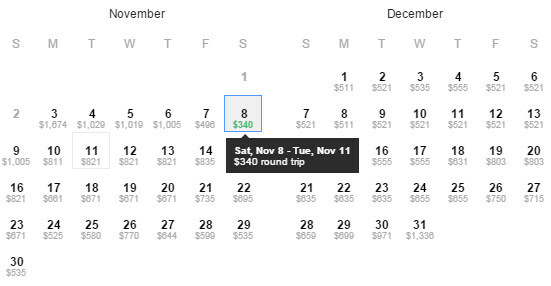 Booking your trip as a Flight + Hotel package will probably save you more money than if you were to book separately. Be sure to make use of any coupon codes for Hotels that may be available at the bottom of this post. Availability: Leave November 8th return Monday the 10th or Tuesday the 11th. Book a Belize vacation here.